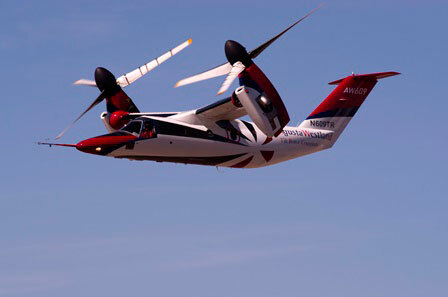 The AgustaWestland AW609 civil tiltrotor achieved another milestone on the road to certification, recently completing autorotation testing at the company’s facility in Arlington, Texas. Over the course of 10 flight hours in March and early this month, an AW609 test aircraft made more than 70 power-off conversions from airplane to helicopter mode. AgustaWestland said the tests covered the full windmilling and autorotation envelope and that “the performance of the aircraft exceeded expected characteristics seen during [flight] preparation in the engineering simulator.” The company characterized aircraft handling during autorotation as “benign.” Flight envelope expansion trials for the 609 were completed in December and AgustaWestland is currently honing its supply chain for the aircraft in preparation for serial production. AgustaWestland is in the process of adding two more aircraft to the flight-test program, for a total of four. The third test aircraft is approaching first flight, it said. The AW609 is being developed under the FAA’s new criteria for “powered lift” vehicles, and AgustaWestland expects certification in 2017.